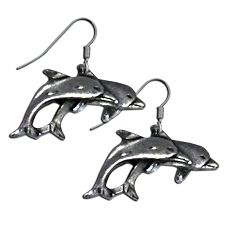 These mini buffalo post earrings are cast from fine lead free pewter and have hypoallergenic surgical steel posts. They are diamond cut for extra sparkle. The pictures don't do them justice! These buffalo earrings measure approximately .5" (1.3cm) in diameter.